Strong Friendships In Adolescence Pay Dividends In Adulthood : Shots - Health News Researchers have found that people with deep friendships in adolescence had less anxiety and a greater sense of self-worth in early adulthood. Close friends matter, their study found. Researchers aren't sure why strong relationships in adolescence seem to pay dividends later in life, but one hypothesis is that those bonds act as a buffer against depression and insults. David Thomas and I met when we were about 5 years old. We celebrated his 26th birthday last weekend, marking roughly two decades of friendship. Once, while walking down the street, a man looked at us and said, "Ain't it Harold and Kumar!" He was almost certainly making light of our race, but perhaps he also saw how comfortable we were with each other. The comparison fits in more ways than one since David is my oldest and closest friend. David is an M.D.-Ph.D. student now, and I'm a science reporter. We've both read research on the effect friendships can have on mental health, and a study published Monday in Child Development seemed particularly relevant to us. The research suggests that bonds from adolescence might have an outsized role in a person's mental health for years. 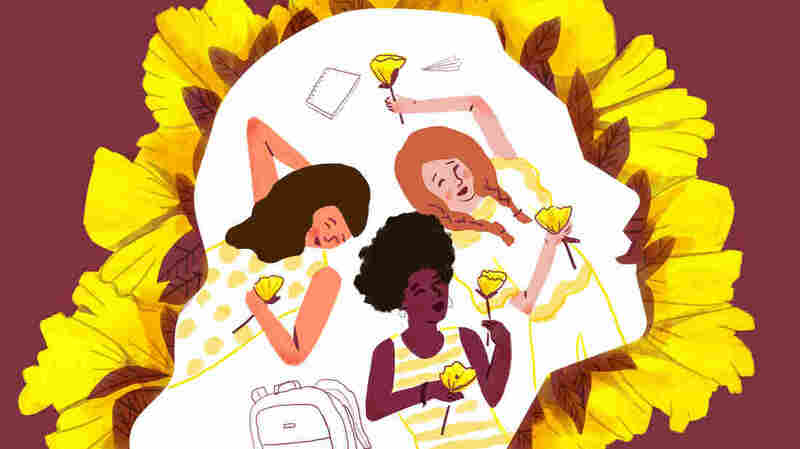 "The findings are giving us some good evidence for the importance of adolescent friendships, not just short-term but into adulthood," says Catherine Bagwell, a psychologist at Emory University's Oxford College, who was not involved with the study. "We haven't had too many robust, rigorous findings like this." The researchers followed 169 people for 10 years, starting when they were 15 years old. At age 15 and again at 16, the participants were asked to bring in their closest friends for one-on-one interviews with the researchers. "[They were asked] how much trust there is, how good communication is and how alienated they feel in the relationship," says Rachel Narr, the lead author on the study and a doctoral student in psychology at the University of Virginia. Each year, the original participants were also given questionnaires to assess levels of anxiety, depression and self-worth. Narr says that when she watched videos made in the early years of the study of the teens asking their best friends for advice or support or talking through a disagreement, it was easy to tell which relationships were strong. "These teens tend to be open with one another about difficult topics, and they're more engaged with one another and helping the other person and connecting with the other person," she says. Those strong relationships are paying dividends in adulthood, the study found. When the researchers evaluated the participants at the conclusion of the study, the ones who had close, emotional links showed improvement in their levels of anxiety, depression and self-worth. In other words, they reported less depression and anxiety and more self-worth at 25 than they had at 15 and 16. "It surprised me how much better they were doing," Narr says. While the researchers believe there is more driving the drop in depressive symptoms than just the friendships, they're confident the strong relationships play a meaningful part. Those who had more stable relationships — who brought the same best friend to the study at 15 and again at 16 — seemed to do the best, Narr says. The participants who didn't exhibit the same kind of closeness with their friends didn't show much change in symptoms of depression and anxiety or in their sense of self-worth over the study's 10 years. Narr and her colleagues also looked at how popular or well-liked the participants were at 15 or 16 to see whether those factors had more to do with the drop in depression and rise in self-worth than having close friends. But the researchers only saw a correlation with strong friendships. It's tough to know exactly what is going on, but Bagwell says psychologists have a few good ideas. One is that unwavering support acts as a kind of protective buffer against insults to your self-worth or feelings of depression. That can be especially beneficial during adolescence, a formative period when peer feedback has extra gravity, Narr adds. These friendships could help with people's emotional development, too. Adolescent relationships might help people learn certain social and emotional skills that benefit them for life, says Brett Laursen, a psychologist at Florida Atlantic University. Like Bagwell, though, he is quick to point out the caveat that science hasn't pinpointed the exact mechanism. "Most of this is purely speculative," he says. "Hand waving." In his own work, Laursen found that people with teen friendships were happier by the time they were nearly 50 years old compared with those without friends as adolescents. Bagwell raises the element of timing. For the first time in their lives, teenagers are able to form deep ties with their peers, she says. "It's the kind of relationship that [teens] are developmentally ready for." It's the first opportunity for people to learn how to be trusting and vulnerable with another person, and using those skills to establish closer, more stable relationships throughout life may be beneficial as well. "These friendships are the building blocks for supportive, positive romantic relationships," Bagwell says, noting that other relationships – like close friendships or romantic partners later in life – could serve the same purpose. "This doesn't mean that someone without a close friendship in adolescence is doomed." I know that I would not be the same person without David's towering 20-year presence in my life. 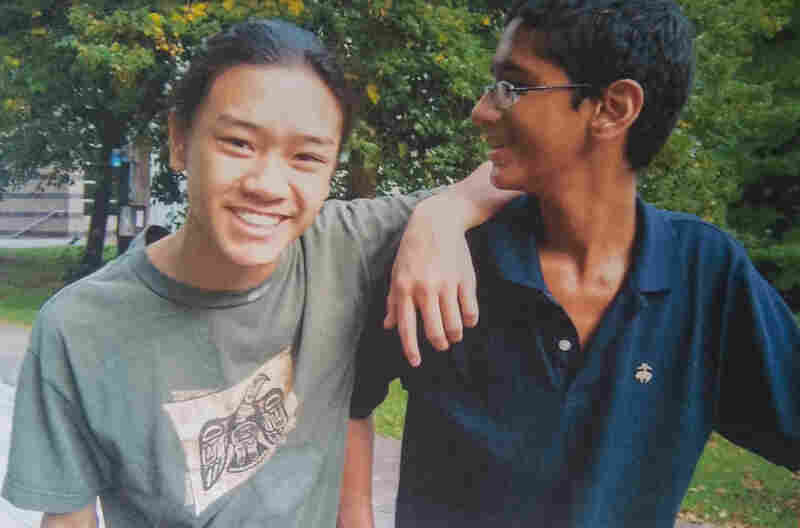 Our friendship took on new meaning when we were teenagers, and my dad relocated to Singapore. It was the start of our senior year of high school, and I ended up living in my parents' home alone — except when David was there, which he was frequently. That year, David helped me do almost everything at a time when we hadn't quite figured out how to take care of ourselves. We learned to cook together. He helped me clean up the house. He picked me up when I didn't have a car and before I got my driver's license. It was a lot of quotidian stuff, but it helped me survive. Over the years, we've also helped each other get through some bigger stuff: moves and breakups and mental health crises. David was one of the first people to listen to my messes or faults without judgment and whose criticisms I could take without frustration. We talked about Narr's study last weekend, and we saw ourselves. Yes, the mechanisms behind how best friendships change one's mental well-being may be hazy at best — "hand waving," as Laursen says. But the study found that simply the presence of a best friend matters, and that makes sense to us. "I can think of so many instances where it was just having you around," David told me. In retrospect, he said later, "even just knowing you were going to be my friend was pretty important." A previous version of this story incorrectly said the friendship study was first published Tuesday. It was first published Monday.